Barbara and Malcolm had become members of IWAI Kildare Branch while they were over here from England. 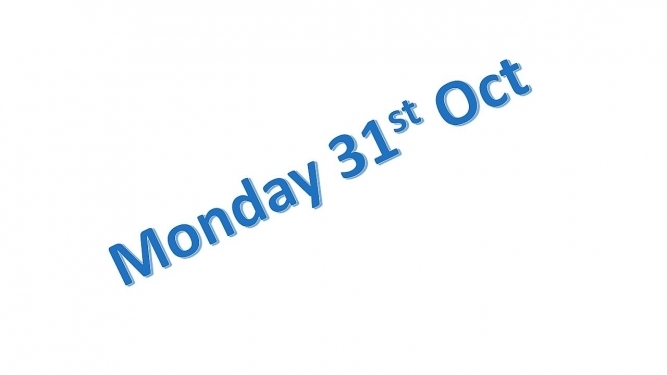 They were enthusiastic assets to our Branch, unfortunately their time in Ireland came to an end in Spring and they and Ampere returned to Britain. It felt like we were only getting to know them but to cheer us they promised to visit Naas Harbour Rally 2017. 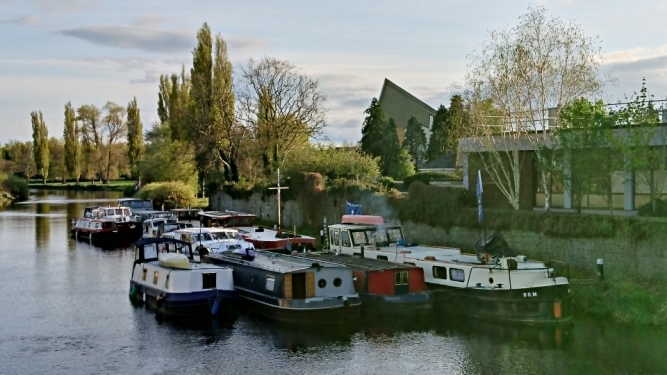 On Good Friday the boats assembled on the west bank of the River Barrow in Athy. 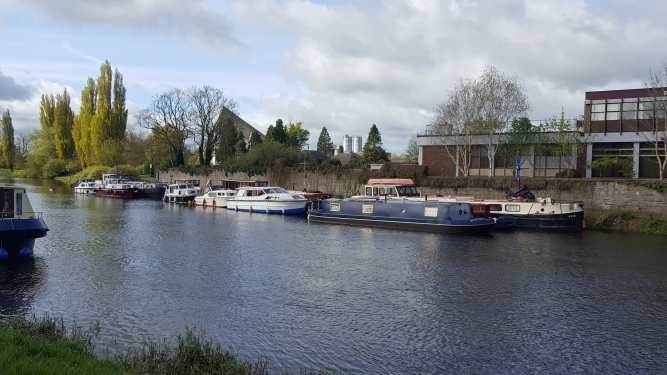 ​​ Athy ​​​​ Waterways had done a great job clearing the bank, putting in mooring posts and securing the area with CCTV and a lock on the gate. 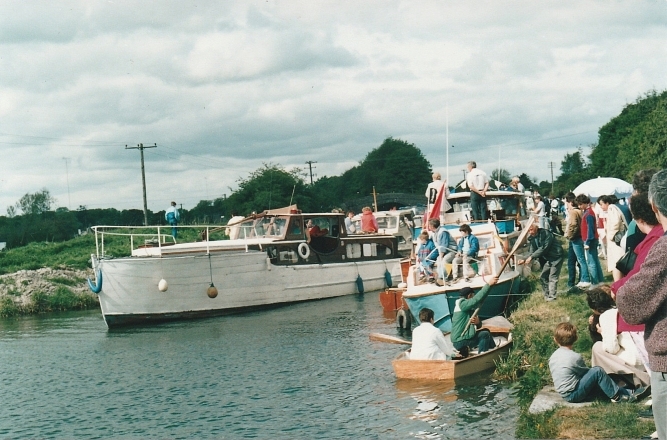 There were about a dozen boats, a mixture from the Kildare Branch and the HBA, some having travelled from as far as the Shannon. 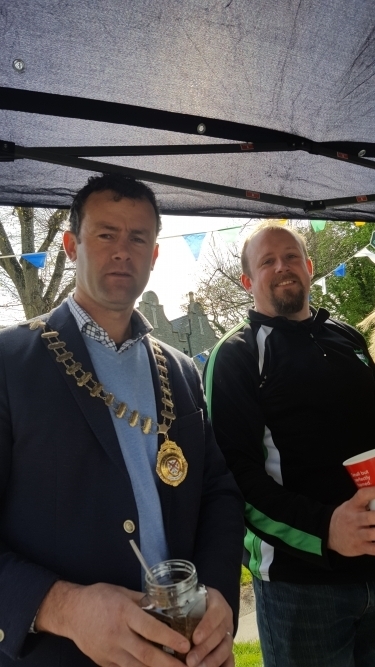 On Saturday morning the Rally was officially launched by Cllr Aoife Breslin and Mayor Cllr Ivan Keatley who both spoke very positively about the Barrow and welcomed us warmly to Athy. 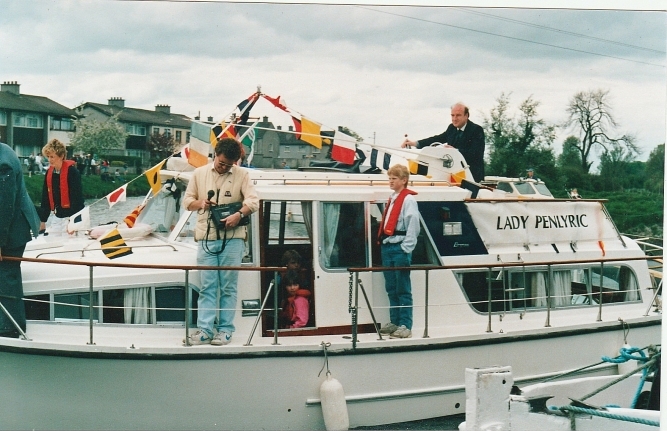 The boats were then blessed by Rev Olive Donohoe. 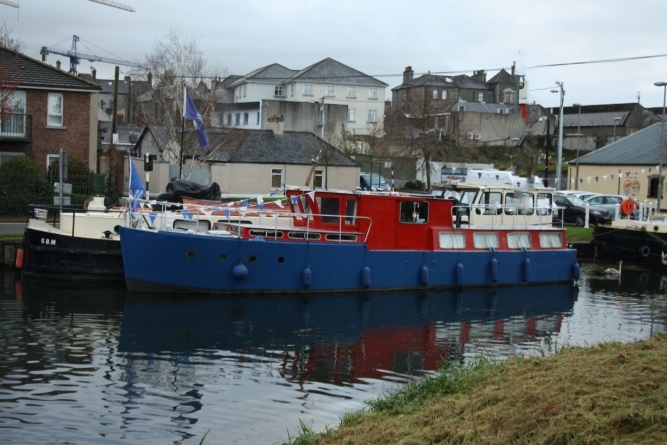 This was followed by coffee and croissants with​​ Saoirse ar an Uisce,​​ Athy Boat Tours Trip Boat. In the afternoon there was a guided tour of very old Athy led by Marc Guernon. 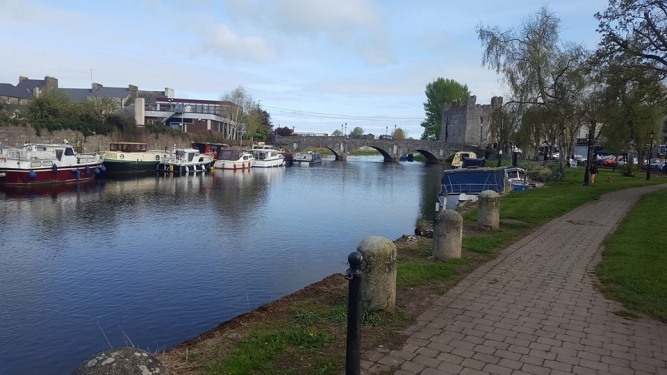 Amongst lots of historical information we learnt Athy had been a Norman settlement and in the early 1400s the castle was built to protect the bridge and town. 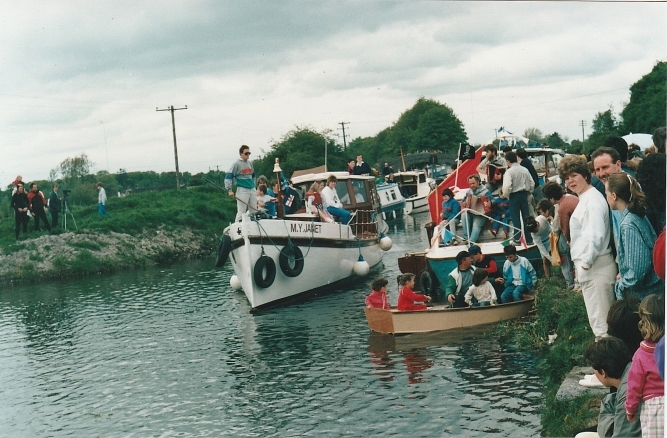 In May 1987, the Kildare Branch of the IWAI with the support of Dublin Branch members, celebrated the re-opening of the Grand Canal into Naas Harbour. 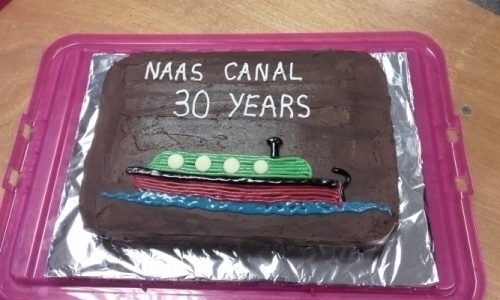 This year we celebrated the 30 years with a full programme for a special Naas Canal Festival. 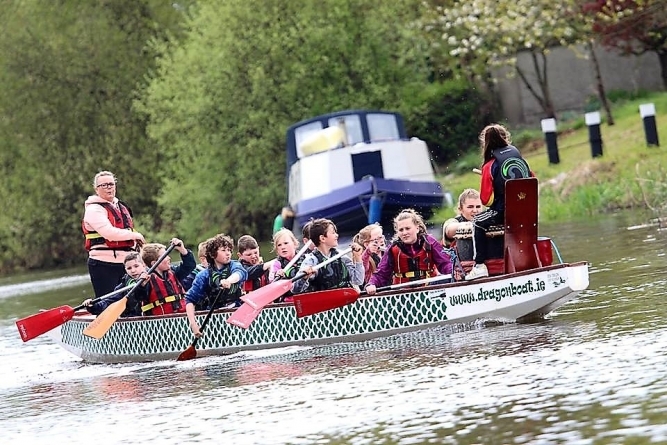 The deep draft boats ascended the Naas Branch during the week whilst the rest made the ascent on Saturday aided by Kildare Scouts. By the evening there were 30 boats safely moored in the Harbour and along the line on the instructions of the berthing master Niall O’Dowda. 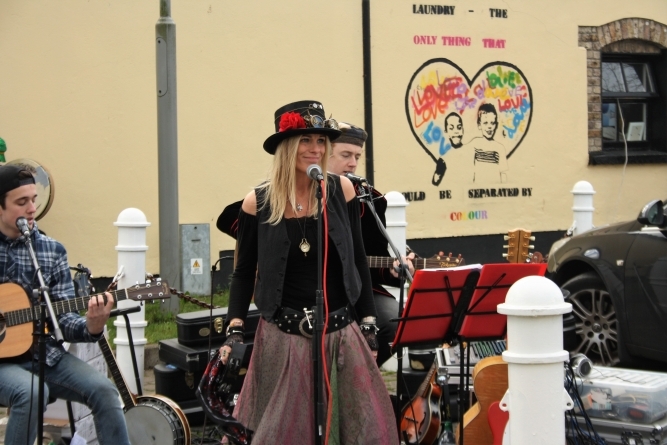 From the launch of the festival by James Lawless TD it was all go. 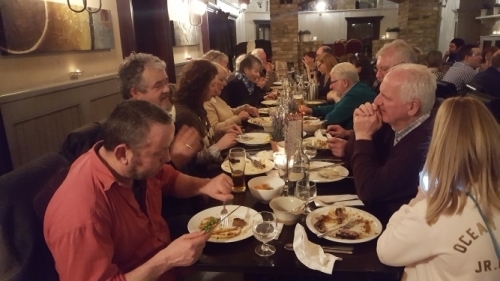 It started with a treasure hunt of Naas and then later that evening a 30th Anniversary Dinner in Lawlor’s Hotel. 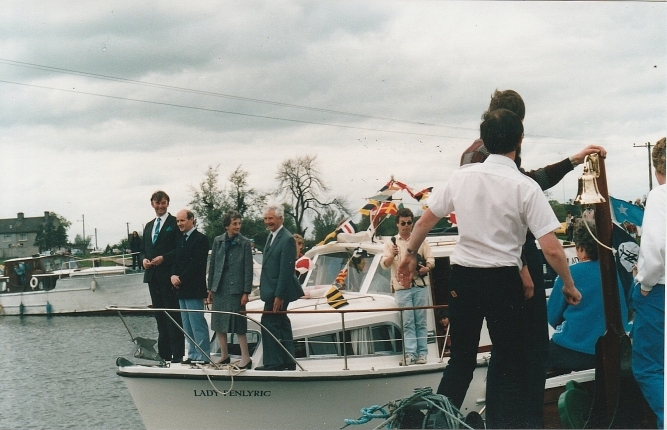 There was much reminiscing and it was discovered that two of the boats attending this year’s rally had been on the 1987 rally:- Rushmere skippered by Dave Eustace and Blackthorn owned by the Clinton Family. Sunday morning coffee and cake in the Kildare Youth Club’s building and a display by the Model Boat Club throughout the day. 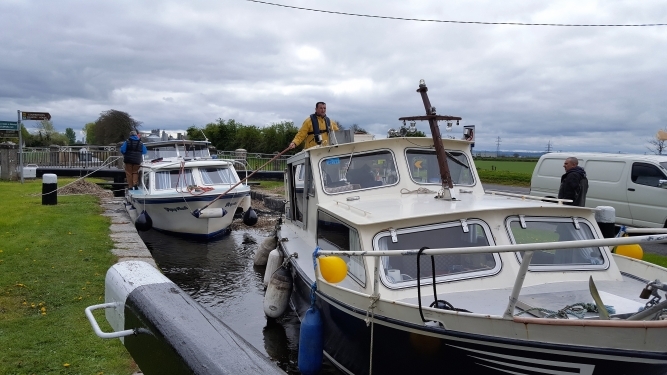 We were blessed with the weather and had many outdoor activities for the general public to join us in, demonstration of how a lock works, boat trips on the Corbally line, model boat races. The Harbour was ‘rocking’ at one stage with the group ‘The water Gypsies’, actual rockers on their motorbikes/trikes and the Bolinder engine when it got going! 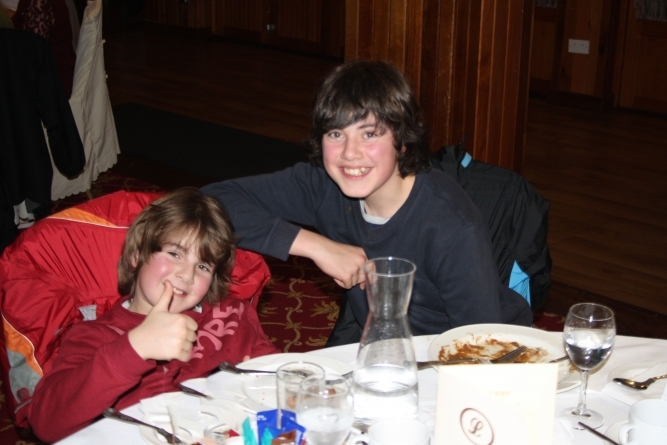 In the evening there was a 1980’s theme fancy dress party with prize giving and entertainment. Many made a great effort with their costumes and it was a good night’s fun. 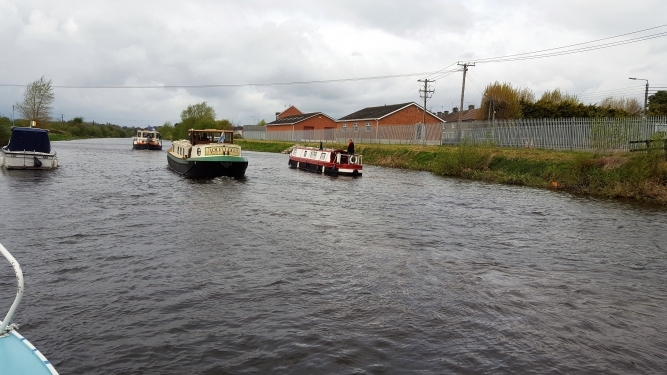 The next morning it was all over for another year and the boats left at their own pace making their way back to their various winter moorings. It was a very successful weekend thanks to the Kildare Committee and friends for all their hard work, it surely paid off. 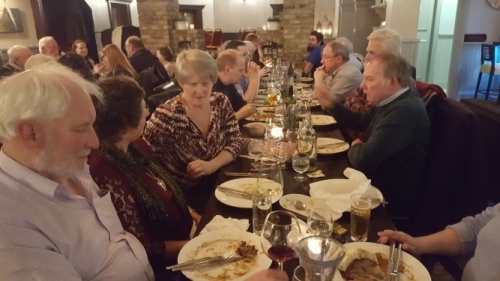 On Wednesday 27th December last, branch members and invited guests from Kildare, Offaly and Dublin gathered in Cathal Brugha Military Barracks in Rathmines, Dublin for our annual Christmas walk. The venue, formerly named Portobello Barracks, had been organised by branch member Frank McGinn through his son-in-law Capt. Simon Keenan. Our visit began with tea and coffee and a very informative talk given by Simon on the role of the Defence Forces. This was followed by a guided tour of the Military Museum given by QMS Noel Montgomery. Along with Cathal Brugha the barracks has a strong association with Michael Collins and events in Dublin around a century ago which ultimately led to the transfer of the barracks form British Army occupation to the Irish Defence Forces. 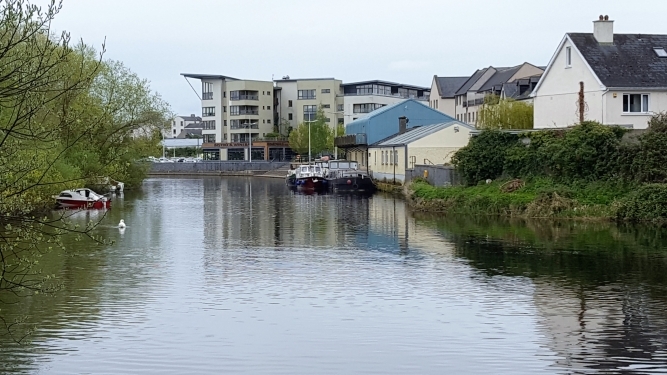 After Lunch we headed on a constitutional walk along the banks of the Grand Canal where at the mid-point of our stroll, Leeson Street Lock, Kildare Historian Liam Kenny read a canal based passage of poetry written by Patrick Kavanagh; who also had connections to the area.